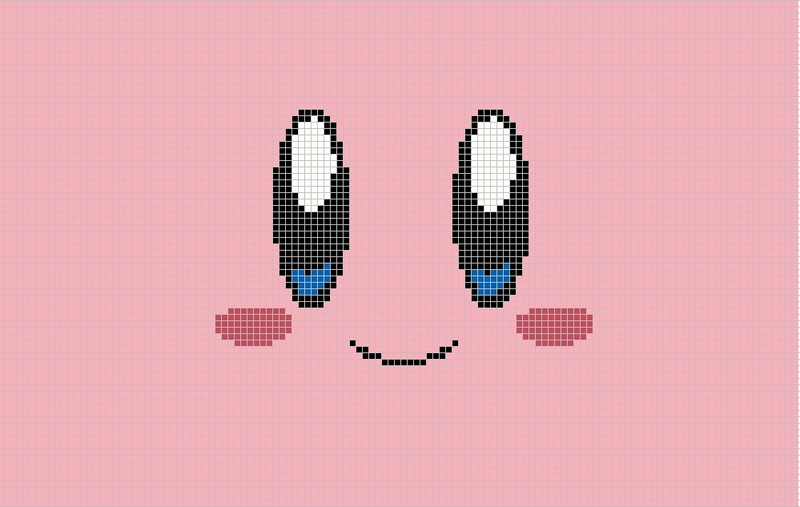 For her birthday, the youngest asked me to cross-stitch her a Kirby and you knew I had to do it! 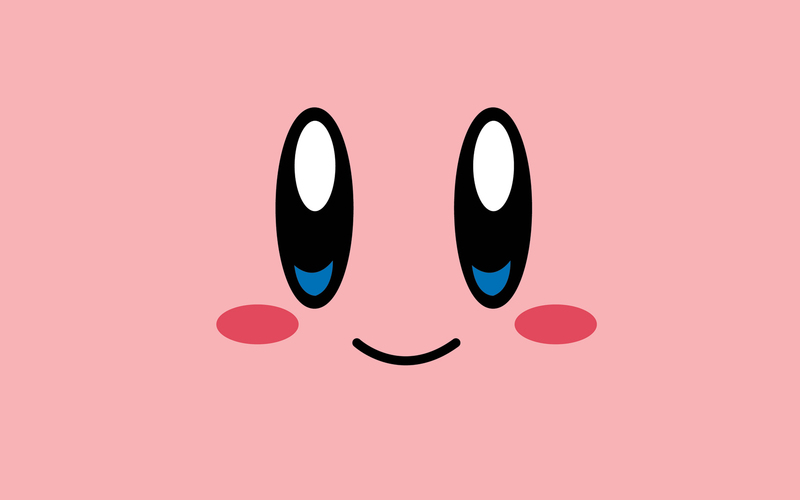 I wanted to do something other than the traditional little Kirby so I found a wallpaper and decided to make a chart from it. Since I only had a week (and I value my time) I used pink fabric with my one of my favorite things, water soluble canvas, and set off stitching. 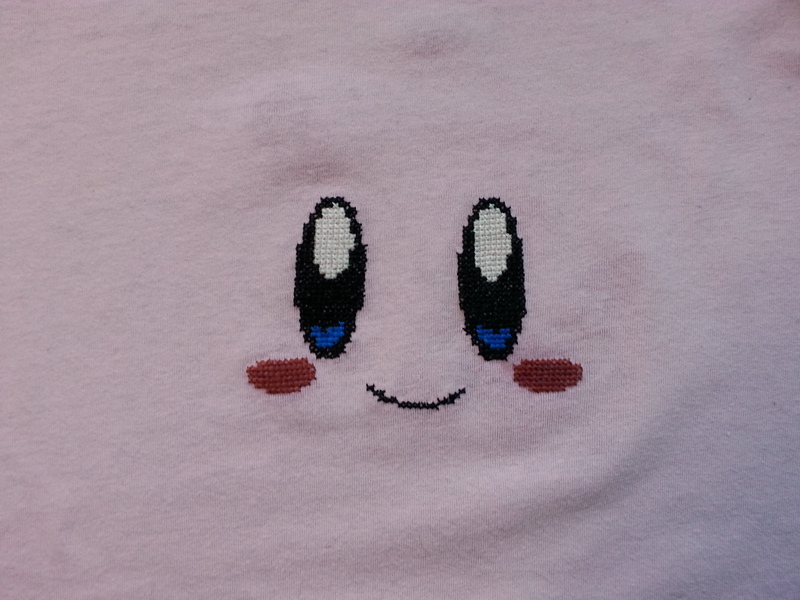 There is also pink aida cloth, so you can use that and save yourself thousands of stitches (literally). 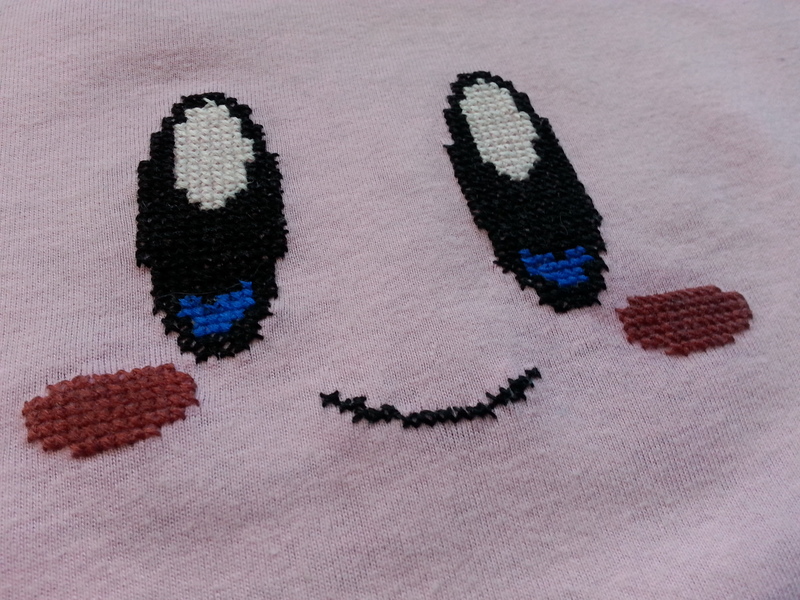 Remember to keep a large border of your fabric around Kirby so it keeps that minimalist look. And as always, if you tackle this let me know. I’m thrilled to see people using these charts I post. Previous PostHello. 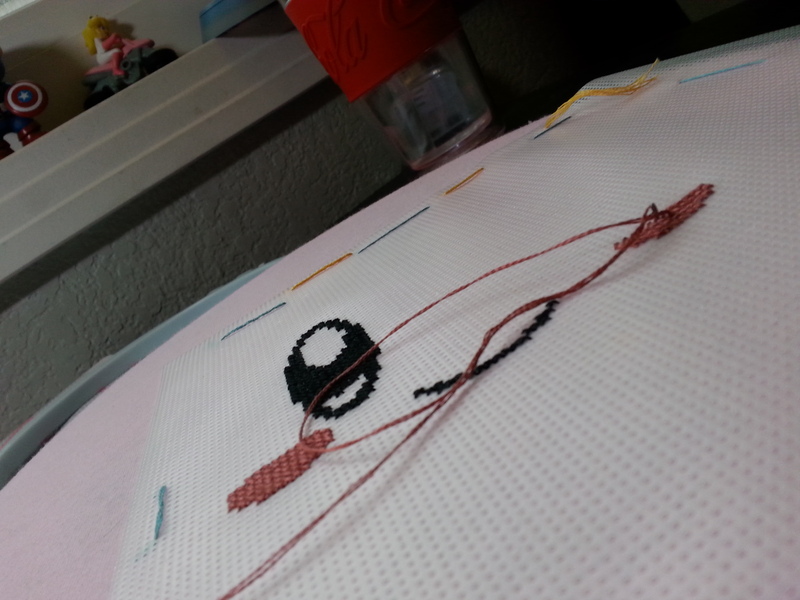 I am Jess, your personal crafting companion.Next PostSuper Merry-o Christmas!